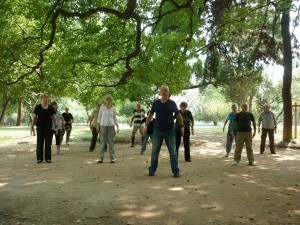 From ancient to modern times, Qigong self-healing exercises have been used to help improve people’s quality of life. Qigong is one of the therapeutic methods of Traditional Chinese Medicine (TCM) and like other TCM modalities such as acupuncture, herbal medicine, massage, cupping, moxibustion, and nutritional therapy, can be used to treat a broad range of both chronic and acute illnesses. Traditional Chinese medicine is an ancient medical system that takes a deep understanding of the laws and patterns of nature and applies them to the human body. 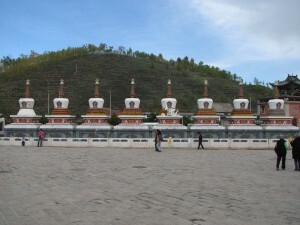 At the heart of TCM is Qi – the force that animates and informs all things. An important principle underlying Traditional Chinese Medicine (TCM) is the understanding of the balance and harmony between human beings and our environment. Daoism and TCM view the human being as a micro (internal) representation of our macro (external) environment. It is based on the concept that the human body is a small universe with a set of complete and sophisticated interconnected systems, and that those systems usually work in balance and with the forces of nature to maintain the healthy function of the human body. TCM seeks to heal the root causes of dysfunction or disease and has been practised for over 5,000 years, making it one of the oldest and most widely used systems of medicine in the world. In this ancient vision of the body, the internal organs function differently from the way they are understood to function in Western Medicine. Unlike the Western medical model which divides the physical body into anatomical structures, the Chinese model is more concerned with function. Thus, the TCM heart is not a specific piece of flesh, but an aspect of function related to consciousness, mental vitality and unclouded thinking. Each solid organ (Yin) has a corresponding flowing organ (Yang). TCM understands that everything is composed of two complementary energies; one energy is Yin and the other is Yang. They are never separate; one cannot exist without the other. This relationship is reflected in the black and white Yin/Yang symbol. No matter how you try to divide this circle in half, each section will always contain both energies. The organs also correspond to the Five Elements, relating to different seasons, colours and emotions. The belief that the human body is a microcosm of the Universal macrocosm means that humans must follow the laws of the Universe to achieve harmony and total health. The Yin/Yang and Five-Element theories are observations and descriptions of Universal law, not concepts created by man. These essential theories form the basis of TCM and are used today to understand, diagnose and treat health problems. The network of relationships is complex, and scholars study and meditate for many years to fully understand these connections between the internal and the external world. 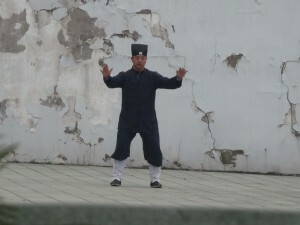 The art of Qigong consists of meditation, relaxation, physical movement, mind-body integration and breathing exercises. Qigong describes all the Chinese energy or Qi techniques that promote the flow of Qi through the energy channels of the body and connects the body with the energy of the universe. 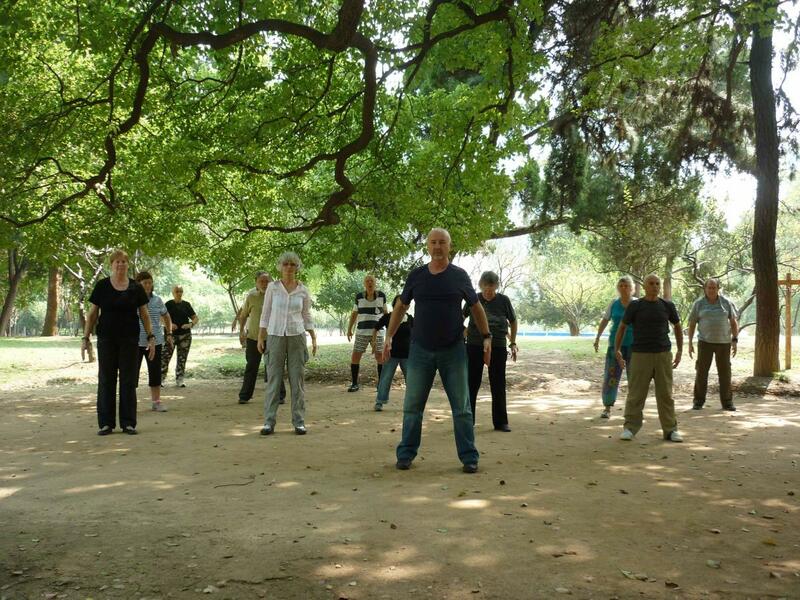 If practised regularly, Qigong can promote calmness of mind, vitality, good health and spiritual awareness. When our mind is at peace our Qi flows smoothly creating harmony with the universe. “Too much color, the eyes cannot enjoy. Too much noise, the ears cannot receive, and music cannot be heard or appreciated. Too complicated, too prepared, or too processed food causes the tongue to lose its taste. Too much rushing around, hunting and searching, maddens the mind. Too much interest in hard-to-obtain goods distorts one’s behaviour. The wise one likes to maintain one’s inner essence, and thus is not enslaved by sensory pleasure. Simon Blow a near fatal accident at the age of nineteen lead Simon to investigate various methods of healing and rejuvenation a path he has been on for over twenty five years. 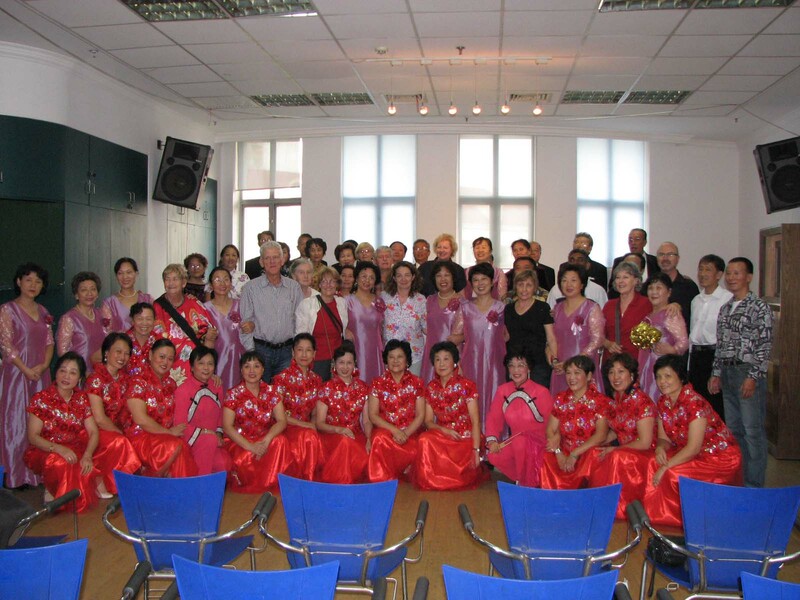 He is a Sydney-based master teacher (Laoshi) who has been leading regular classes for beginning and continuing students since 1992. Simon has received training and certification from Traditional Chinese Medical Hospitals and Daoist Monasteries in China and Buddhist Monasteries in Australia and has been given authority to share these techniques. Simon has been initiated into Dragon Gate Taoism and given the name of Xin Si, meaning Genuine Wisdom. He is a Standing Council Member of the World Academic Society of Medical Qigong in Beijing. Simon Blow is and author of numerous books, DVDs and audio CDs about this ancient healing art.